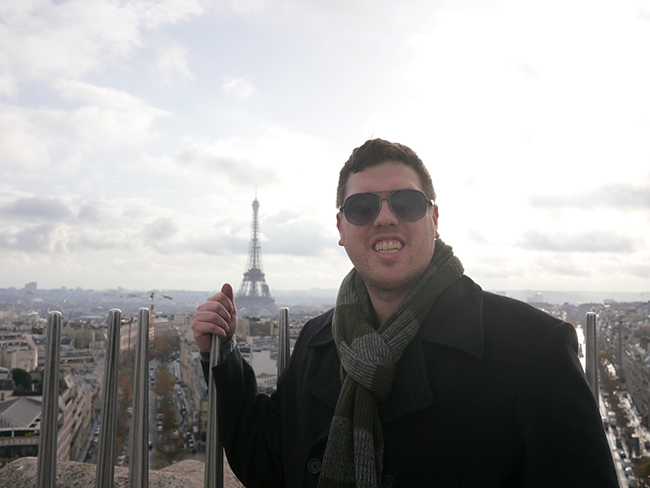 Jeff and I jetted off to Paris the day after Thanksgiving, and you guys, it was amazing. I've wanted to go since I started studying French in middle school, so it was sort of surreal to actually be there. We stayed in Paris for the whole week we were away, which was great because we really got to know the city. After a very small amount of research (because we booked our plane tickets three weeks before the day we left - pretty reckless for us!) 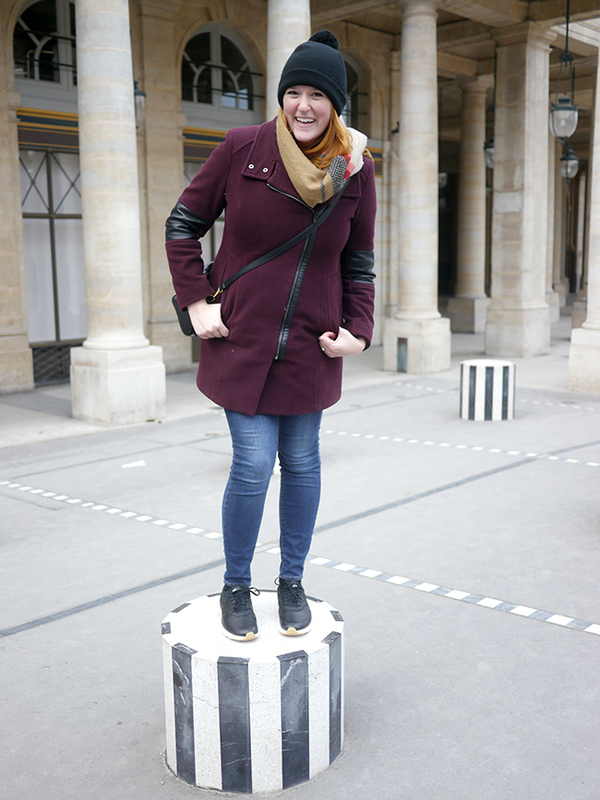 we decided to stay in the St. Germain neighborhood, which I ended up loving. There were still tourists, but it felt decidedly less touristy than staying near the Champs-Elysees, Eiffel Tour, or Louvre. We stayed at the Hotel de Buci for the whole week, which was a cute little boutique hotel surrounded by restaurants and shops. 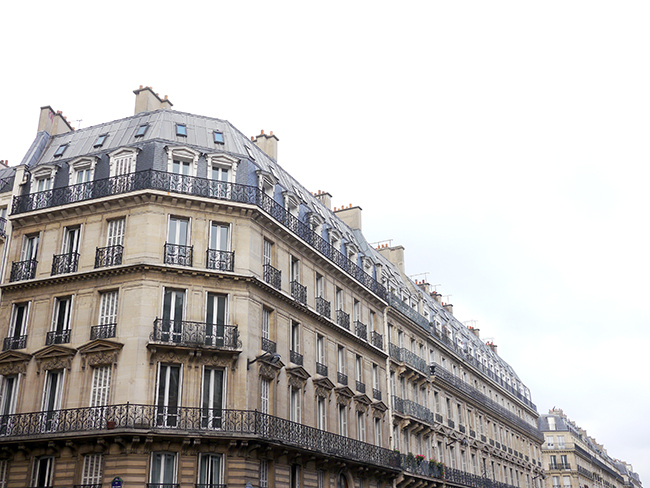 If we hadn't chosen the St. Germain neighborhood, I would have gone for Le Marais. I wouldn't pick Montmartre for a first visit to Paris since it's a bit further from everything, but for a repeat trip I would definitely consider it. Visiting in November turned out to be the perfect time to visit all of the museums - there were no lines! 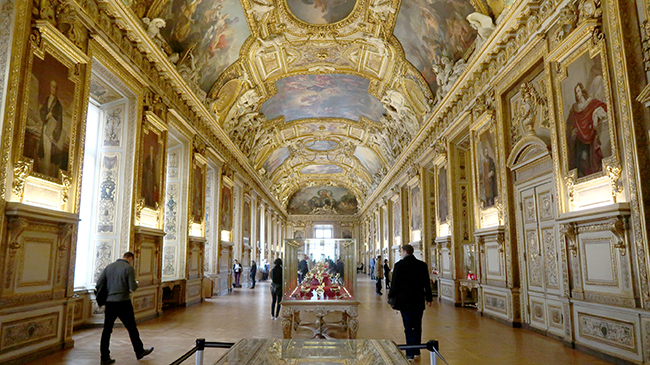 Seriously, the longest we waited to get into a museum was a five minute security line at Musee d'Orsay. 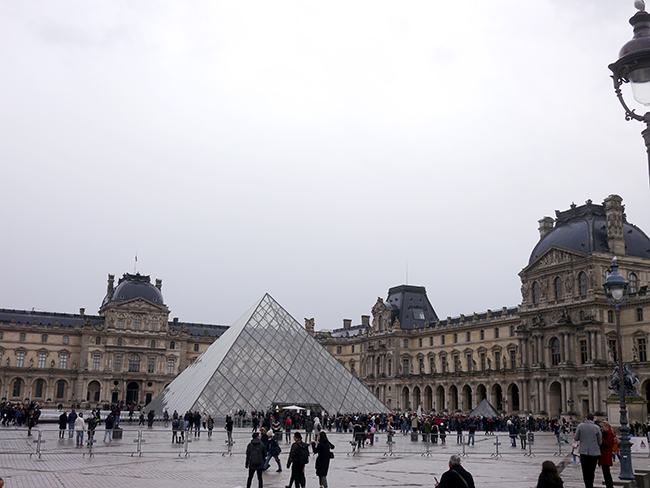 We walked right into the Louvre and had zero people in line ahead of us to buy the museum pass - crazy! 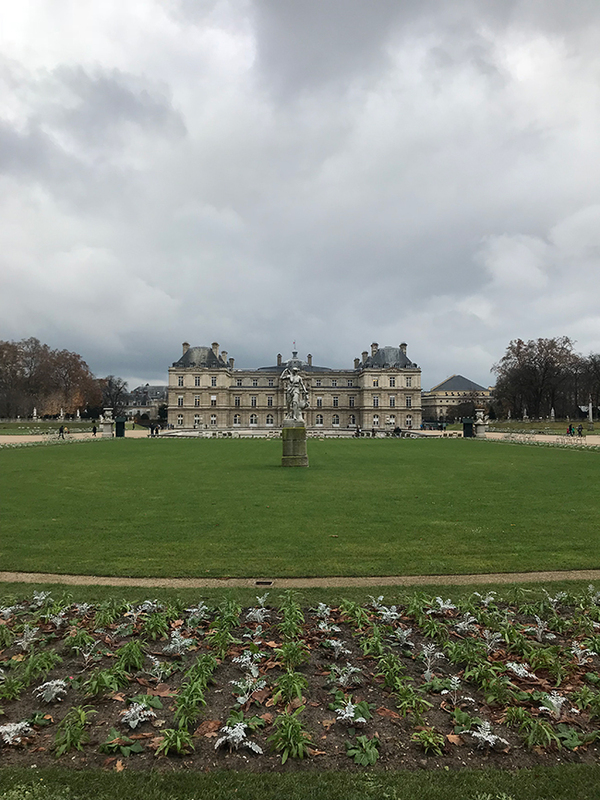 That being said, after the Louvre we did have the museum pass in hand, which allowed us to jump the lines at a bunch of museums. 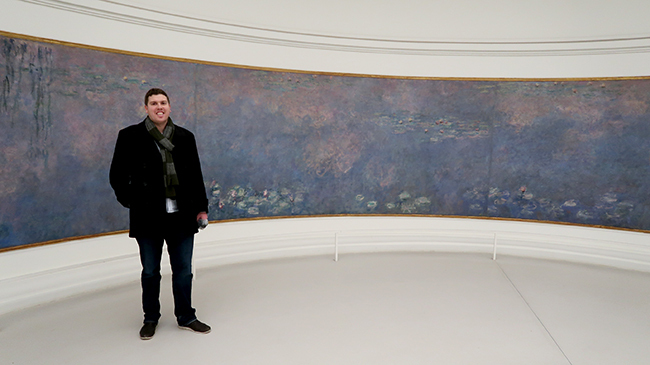 The Louvre was cool, but my favorite museums were the Musee d'Orsay, where there's a huge impressionist collection, and Musee de l'Orangerie, where there are two circular rooms with these huge Monet water lilly paintings. 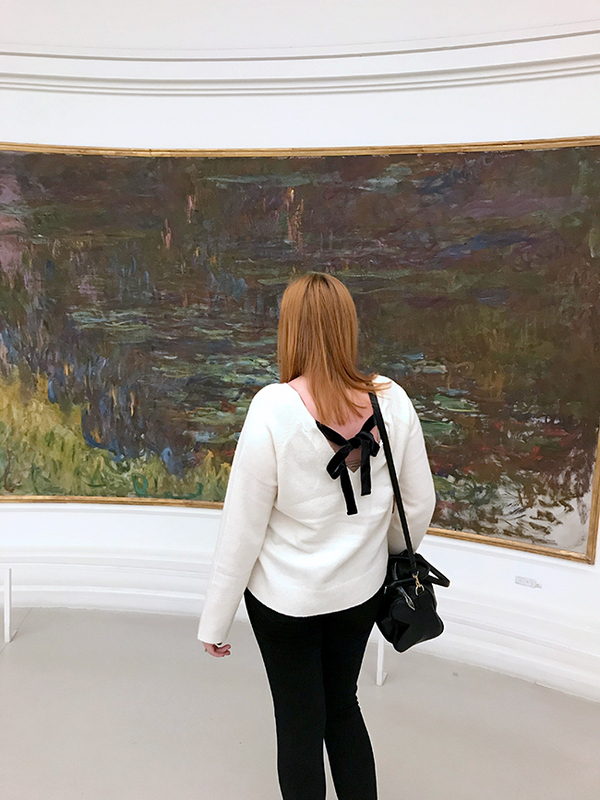 I'm an impressionist girl through and through, so it was really a dream to see everything in person. 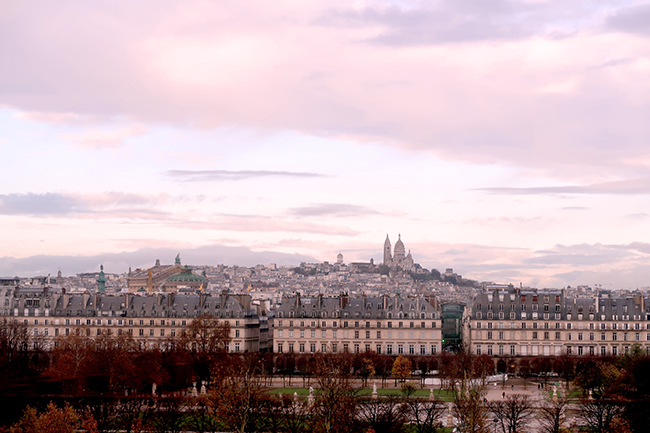 The Musee d'Orsay is also where I took the photo of the skyline with Montmartre and Sacre-Coeur in the distance - there were some beautiful views from the fifth floor. 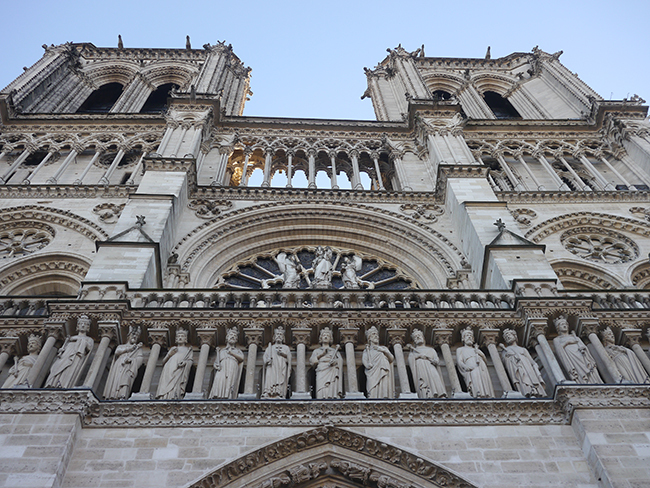 We visited Notre Dame (no line again) and did the climb to the top to see the view of Paris and to see the gargoyles up close - so cool! It was a lot of stairs but we were able to climb all of them without stopping - I did get dizzy on the way down though because it's such a tight spiral! 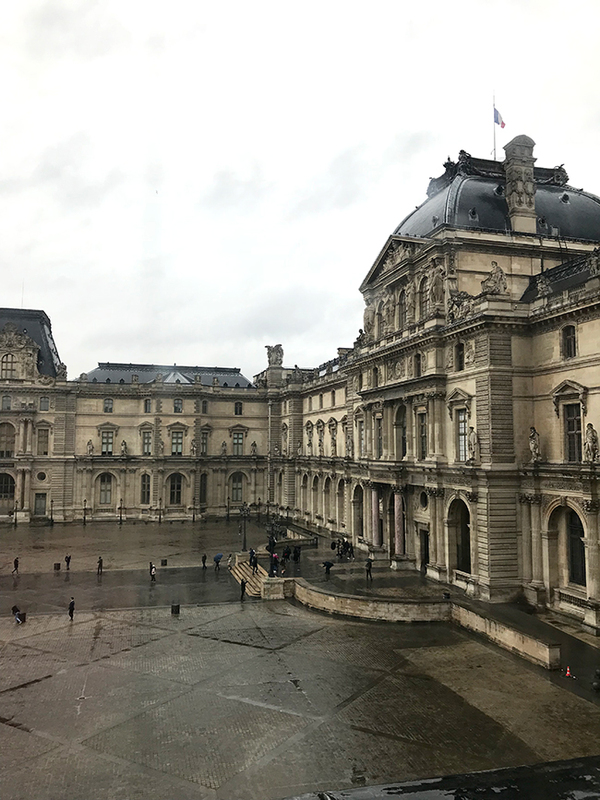 We also realized our museum pass gave us access to the archeological crypt under Notre Dame which was really interesting - you can see the original walls of the old city of Paris. And then of course we had to climb the Arc de Triomphe. I'm not sure how this compares in height to Notre Dame but it's a much wider staircase meant to have thousands of tourists tramping up and down, so I thought it was a pretty easy climb. The view was great too, you could see straight down the Champs-Elysees, and you're pretty close to the Eiffel Tower too. We walked right up to the Eiffel Tower but actually never went into the park! I would have gone in had the weather was nice, but we were really just looking for a view. 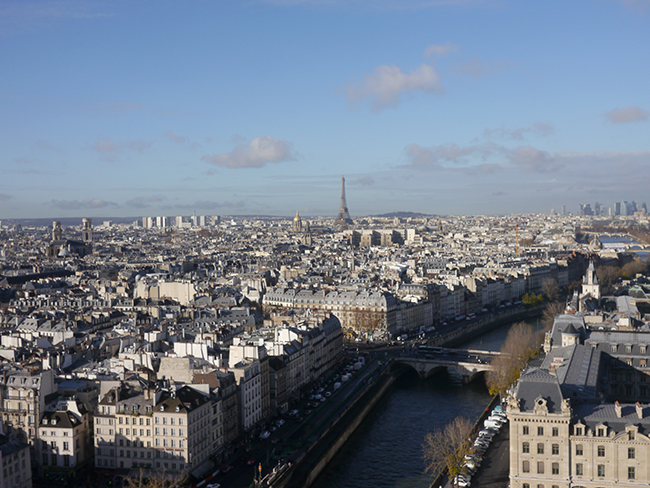 The view from Trocadero (across the river) or from Avenue de Camoens was good for us! Trocadero is definitely the place to see the Eiffel Tower sparkle at night. 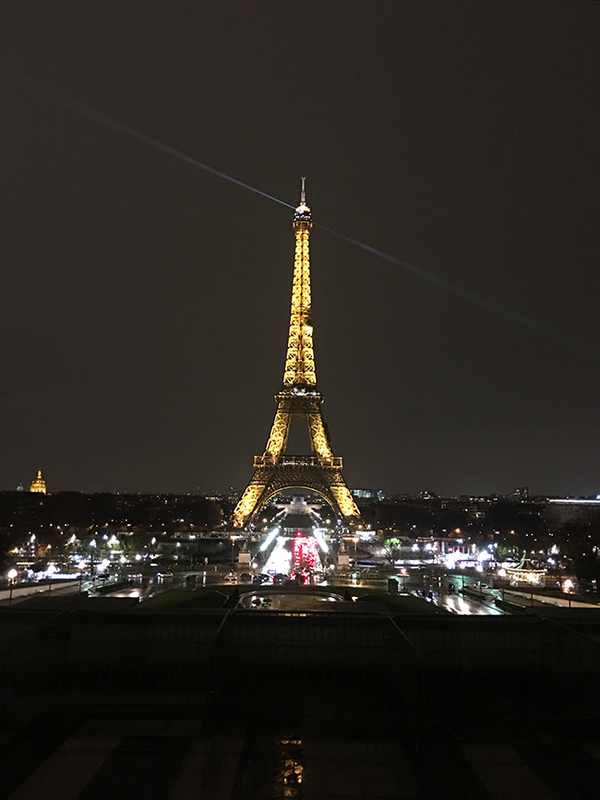 We went one night to watch the lights and then went to Cafe de l'Homme for dinner, which is right next to the Trocadero, and had a view of the Eiffel Tower sparkling from our table. This was a little touristy and probably overpriced, but I thought it was worth it for that view. I knew that the cafe scene was huge in Paris, but I didn't realize that it still happened in the winter! At least once every day we snagged a seat outside of a cafe under a heat lamp for some chocolate chaud (for me) and a cafe creme (for Jeff), or for a drink before or after dinner. The people watching was so fun. Our favorite place out of all the cafes we stopped in was Maison Sauvage, which had the warmest heaters, great cocktails, adorable Christmas decorations, and really cute decor inside. 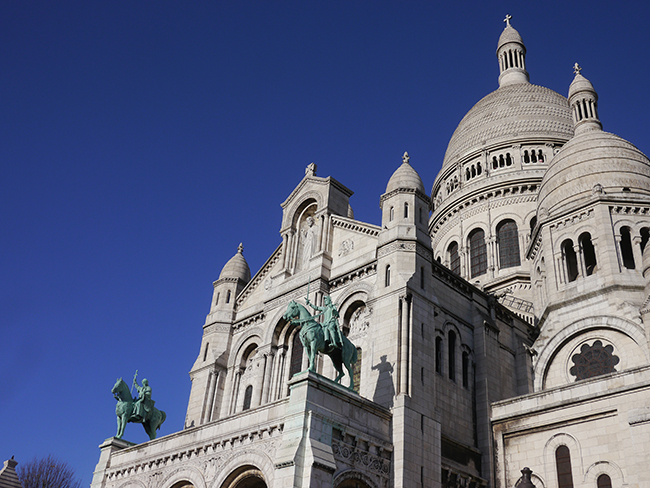 We went up to Montmartre, a little medieval village on a hill within Paris that has great views and the huge Sacre-Coeur church. The church was crazy and full of tourists, but I loved wandering through the neighborhood and seeing all of the artists at work in the Place du Tertre. 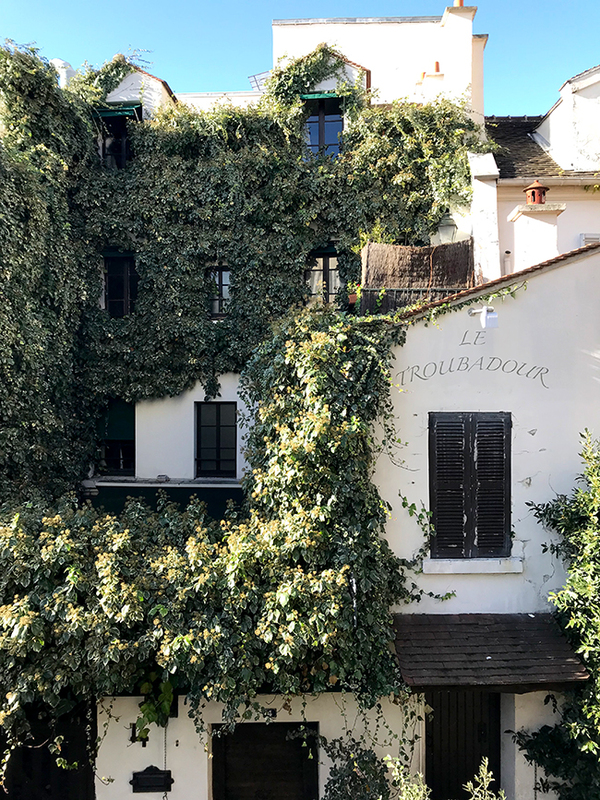 We also had one of our best meals up in Montmartre at La Cave Gourmande, a tiny little place that was packed when we stumbled in and had amazing beef bourguignon. 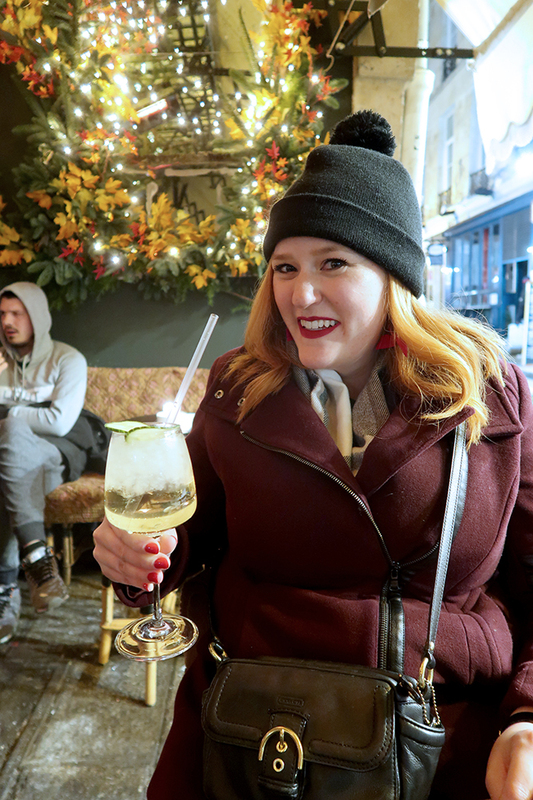 We also loved wandering through Le Marais, the Latin Quarter, and, of course, St. Germain. One of our favorite things we did was actually a place I heard about from Gal Meets Glam - visit Chez Papa, a jazz club! We had our hotel make a reservation for us for our first night in Paris, and it was a great introduction to the city! They served dinner, which is where I tried (and actually liked!) escargot, and a jazz trio was playing the night we went. Just a note - the music doesn't actually start until 9pm even though it opens at 7:30. We showed up at 8:30 and were some of the first people there, which actually was great because they gave us a prime table. 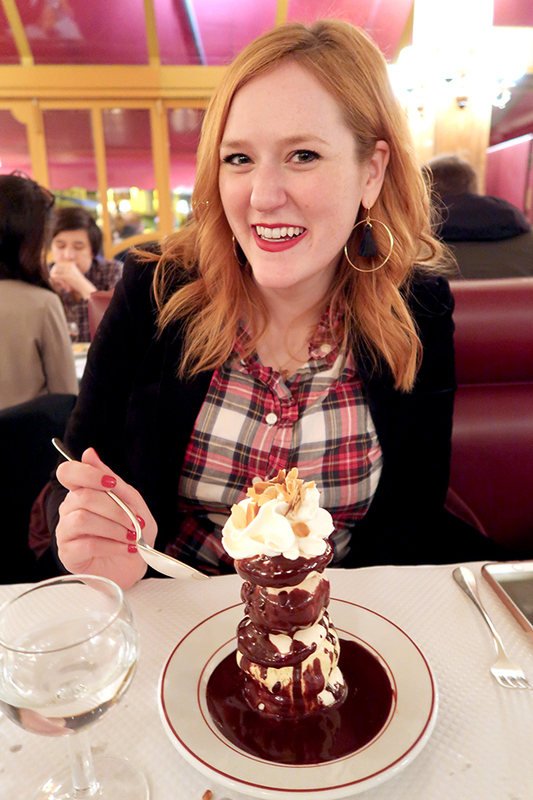 There are tons and tons of amazing restaurants in Paris, so I'm just going to share one standout. Just a note - Chez Papa was actually the only reservation we made in advance. If you're trying to go somewhere really trendy you may need to think about a reservation in advance, but we mostly relied on our concierge to make day-of reservations for us. We were looking to do one fancy menu in Paris and love tasting menu, so our concierge suggested Boutary. Oh my god you guys. It definitely lived up to the hype. 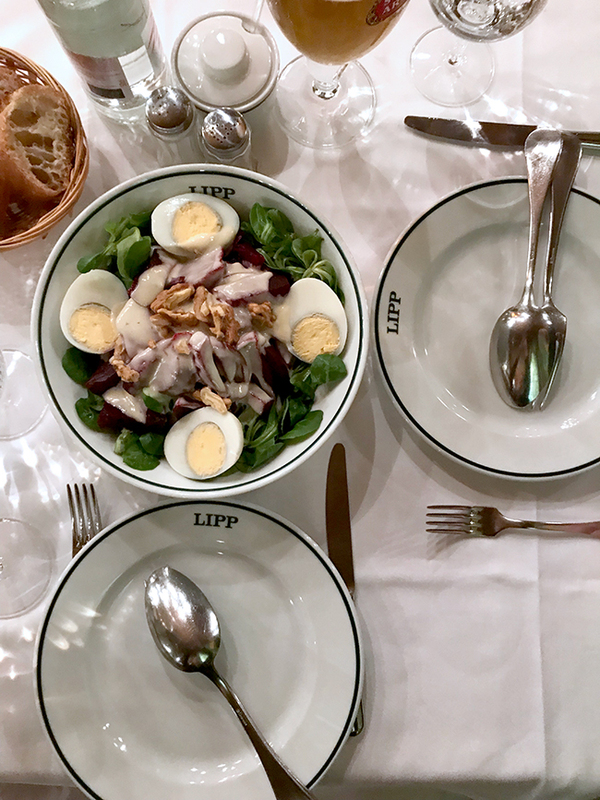 The food was modern french, so while we got to have a couple tastes of caviar, it was much lighter and more creative than the other french food we had that week. The most amazing thing was one of the starters, a little pot of smoked potatoes with caviar that they poured hot cream into. It was seriously one of the best things I've ever had. The restaurant itself is tiny so definitely make a reservation for this place - there were only six tables in the main room, and then it looked like there was a party room in the back. Oh, and oddly enough, Eric Holder, the former US Attorney General, was sitting at the table next to us. Don't worry, I made Jeff take an awkward photo with him in the background. Because pics or it didn't happen. I'm always nervous to try the public transit system in a new place, but had heard great things about the trains in Paris. You guys, they were so easy to use. There was a stop a block away from our hotel, and with one transfer we could get anywhere we wanted to do. Besides the train, we just walked everywhere! We looked at getting an Uber once but decided to walk instead, and only took taxis to and from the airport. Pro tip: our concierge told us not to get an Uber to or from the airport, because the taxis have a flat rate no matter the traffic, and in an Uber you might have to pay for a surge or for sitting. I took French in middle and high school, which was over ten years ago now, so I didn't remember a ton, but knowing a tiny bit of French definitely helped. We were told that people wouldn't be rude to us if we tried speaking French, and I found that to be true. It's customary to say bonjour (hello) whenever you walk in a store or restaurant. Some other words that could come in handy are au revoir (goodbye), merci (thank you), s'il vous plait (please), and parle anglais (speak english) or ne parle francais (don't speak french). I actually had to use that last one a lot because I'd walk into a restaurant and say we had a reservation or needed a table for two en francais, and then have to backtrack when the person actually started speaking in rapid french back to me. Whoops. People did speak English almost everywhere we went though, and the majority of restaurants had an English menu. Whew, that was a long post! Big ups to you if you managed to make it to the end. 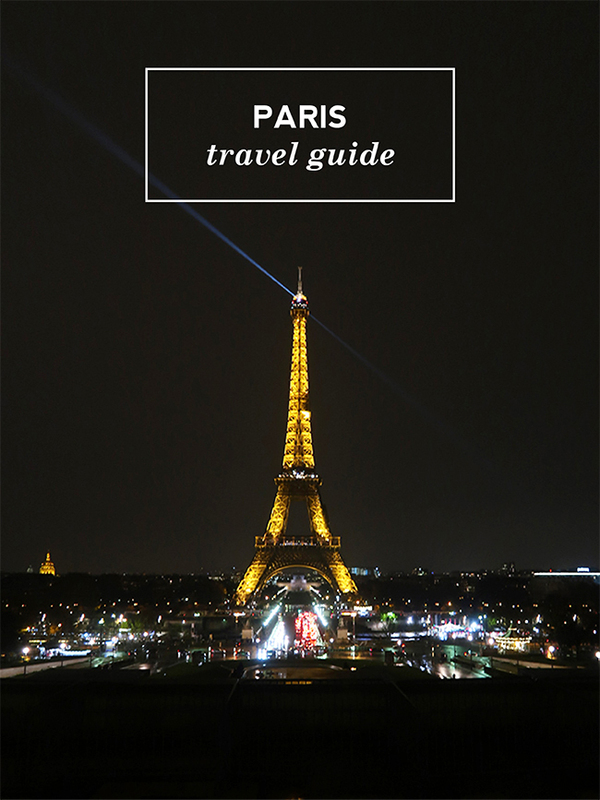 If you're planning a trip to Paris and have specific questions just let me know, I'd be happy to help! P.S. Check out my travel guide for Southeast Asia.